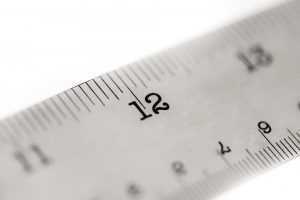 The two measurement systems, metric, and US, can be both used for converting units. Though, the metric system is simpler and much preferred than the US system. This is because it is the standardized system used globally and is approved by the international systems of units. Logically, it is easy to compute with a metric system(“Metric Versus U.S. Units”). That is, a conversion can be achieved by dividing or multiplying by a fraction of 10. Additionally, one unit of measure comprises of one type of measurement. For example, if we were to convert 7,865 Hectoliters (Hl) to liters then to milliliters. This is how we would go about it: 1hectolitre is equal to 100 liters. Then we ask ourselves, how many Liters are there in 7865 Hectoliters? Hence, we multiply 7,865 by 100 to give us 786,500litres. 1 liter is equivalent to 1000ml. therefore 786500 Multiply by 1000 amounts to 786,500,000 ml. To achieve this, we need to convert all units to milliliters: 500ml: 1000ml: 2000ml: 5000ml: we divide 786,500,000ml by the total number of proportions  to milk in each. So, each proportion will be represented by 196,625,000ml of milk. Then we divide each proportion by the total amount represented by the proportion. This amount to 500ml sachets will have 393,250packs, 1liter sachets will have 196,625packs, 2liters sachets will have 98,312packs and 5liters sachets will be in 39,325 packs. In order to compute the area of an L-shaped rectangular shed with the dimensions of 8feet wide and 4 feet high, we multiply the measurements of both sides. This is because the area of a rectangle is calculated by multiplying the length by width. 8feet multiplied by 4feet is equal to 32feet squared [ft2]. The price of ‘Engineered European Maple Salzburg 3- 8” wide’ is $5.44. 1 foot is equal to 12 inches(“Get Discount Flooring Up To 70% Off At Ifloor.Com Ifloor.Com”). Therefore, 32square feet are equivalent to 4,608 square inches. As a result, we require we require 576 pieces of flooring to get the work done. Thus the total cost will be $3,133.44.